It begins innocently. We take on more and more with each passing day and begin burning that candle at both ends, always with the thought in mind that never the twain shall meet. But they do meet, and someone always gets burned. In today’s economy and struggling markets people take on more burdens to cement themselves to their jobs. Fiscal responsibility tends to equate to physical and emotional exhaustion but we do what we have to do to secure our stability. It has become a dog-eat-dog existence. Although we may see that candle as everlasting and continuous, we lose a little piece of our sanity with each drip of wax that is dispelled. A layer of our resolve, like the dripping wax, is melted away from us and collectively pooled into a well of fatigue. The moments of freedom we so carelessly took for granted are a thing of the past and the work day increases in its longevity. As the winds of our reality fan the flames, the candle burns faster at both ends leaving us with more of a sense of panic and less candle to burn. The days seem longer, the nights seem shorter and we strive to hold fastidiously to our workaday reality. It is our individual responsibility to snuff that secondary flame – to only allow ourselves one wick with which to burn our energy. If we allow others to dictate how much of the candle we burn at one time we may as well cast ourselves into the inferno and spontaneously combust. The purpose of a candle is to burn for long periods of time, from one end only, and cast a glow of light that is warm and comforting. Burning that candle from both ends decreases the amount of enjoyment that candle is meant to purvey and exponentially diminishes the enjoyment that is elicited from that one single flame. Strike your match carefully. Predestine how much of that candle you are willing to ignite and at which pace you choose it to soften and dissipate. If you light it sparingly, it will last much longer and the enjoyment of that flame will last that much longer. Judge me not by what you see of my first appearance. Do not drink in the sight of me without first appreciating the ingredients that were combined to create the final product. Although by outward appearance you think you may know me, know what I’m made of, but the recipe for this product is the result of a myriad of ingredients. Before you judge me, put on my shoes and walk through my past. See what it is that has shaped me and made me the person I am today. 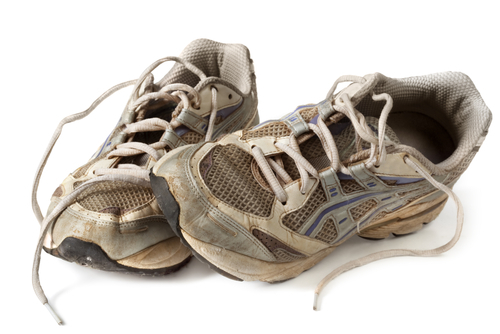 Wear those shoes and glimpse into the experiences that have carved out the life I have led. Hold fast in those shoes while the toes point precariously over dark chasms and walk freely in them as they guide you out of harms way. Skip happily through my successes, but always be prepared at a moment’s notice to plant those shoes firmly in defiance of those who wished to take advantage. There is knowledge and power in those shoes. They hold the key to my existence. They have led me to triumph and helped me run from despair. So before you make up your mind about me, take a walk in my shoes. Watch my journey unfold, and only after you have glimpsed the many facets of reality that have made up my life, only then may you cast your judgement.